We think JD might have solved the unsolvable – How to Measure ROI for UX. We’re thrilled to welcome her as an upcoming guest on UX-radio. JD is the Principal/User Experience Strategy & Research at JDUsability. She is a User Experience Strategy and Research consultant with an emphasis in synthesizing insights gleaned from Customer Experience Research with User Experience Research, information architecture and interaction design best practices to develop user-centered business solutions. Her sweet spot is introducing rapid user centered design methods to multi-disciplinary teams to meet stakeholder goals. She works in conjunction with Agile and Lean development processes while leading creative teams to innovate and produce breakthrough products. A few of her clients include Edmunds.com, The Walt Disney Company, Daqri, Smith-Micro, Kaiser-Permanente, IGN Entertainment (A subsidiary of Fox Interactive Media) and National Arthritis Foundation. 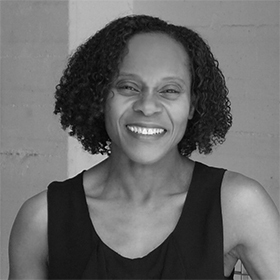 JD also teaches as an Adjunct Assistant Professor at the Art Center College of Design User Centered Design and User Experience Research methods and practices to interaction design, graphic, product, environmental and transportation design undergraduate and graduate students.